I've decided to make some changes to my plans for the Web Writer's Guide e-book. Rather than updating it and moving on with a series, it will remain as-is. Sometime in the next few months I'll pull it off the market, and much of the information in that e-book will be worked into print books or e-books in the Query-Free Freelancer series. The problem with sticking with the Web Writer's Guide branding is that it's too limiting. 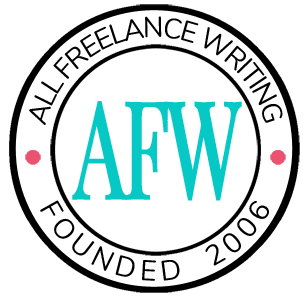 Most of the information found there is relevant to all freelance writers -- not solely Web writers. And I want the branding to reflect that. Because of that, the planned marketing workbook in that series is being cancelled. Rather than ignore the planned templates and worksheets, I'm going to save some for the planned future e-books and books, and others will be released for free here at All Freelance Writing. If you haven't seen them yet, we already offer a wide selection of free stuff for writers, all exclusively developed or contracted by me (meaning no one else is able to offer them). This monthly marketing calendar is the first in our new series of freebies for writers. It's a simple marketing tool that you can use to map out your marketing tactics over the course of the month. It's available in both .pdf and .doc format (the .doc format is what you want if you plan to type directly into the document instead of printing it out). I'm also including a .pdf version of a filled out sample calendar so you can see how it's used. Monthly Marketing Goals -- These are the things you're trying to accomplish. Remember that goals should be both specific and measurable. For example, don't say you want more traffic to your website. Say how much traffic you want to your website. Don't say you want to land new clients. Say how many you want to land. Marketing Tactics -- These are the specific things you're going to do to reach your marketing goals. For example, if you want your website to increase in search engine rankings so prospects can find you more easily, you might release linkbait (like a free report) or blog frequently to build more natural links and traffic. Other Opportunities -- This is where you can list any special opportunities the month provides. For example, in August we have the Olympics going on. So you might note that and incorporate it into your blog posts to keep things timely. Every month has holidays, other special days, special weeks, or even monthly themes that might tie into your business or marketing efforts. Notes -- This is an area where you can jot down any other relevant things you want to keep in mind during the month. It can be anything from a motivational quote to how you actually plan to take advantage of those special opportunities you listed previously. The Calendar -- Then there's the actual calendar. This is where you map out all of the marketing tactics you listed. It gives you a better visual representation of how you'll spend your time. For example, if you see that your tactics call for extra blogging in the beginning of the month due to a holiday you're taking advantage of, you might schedule other limited tactics later in the month to spread things out. Here are the download links for all three versions. This is terrific! Easily modified, too. Thanks! Thanks. This calender will help me a whole bunch because I’m moving my writing goals in two different directions at the same time. Thanks for the nice post and helpful for the content writers like me. Wow – I’m not sure how I missed this post, but I’m glad I found it. I’ve been using Excel to plan editorial content for my blogs, but I do like the calendar format you’ve come up with. I’m going to give it a try for November’s planning. Thanks for sharing. No problem. 🙂 Hopefully we’ll eventually have a plugin to help with that too. My hubby’s developing a custom export plugin for me now, and then he’ll go back to an editorial calendar plugin he was working on. It’s mostly for my private use, but we might release it publicly. It’ll be a bit more advanced than the current one available in that it will allow for more manual updates to make the long-term planning process easier. I don’t think we’ll have that ready this year though. I’d want to test it pretty thoroughly and use it awhile before passing it around.